ESPN, Bleacher Report, and Ring TV all believe this fight was an audition for a Pacquiao match up. This potential fight would give Crawford his biggest challenge yet to defend his WBO World light welterweight title. For more on the possibility of a Pacqiuao fight, the Crawford-Jean recap, and what’s next for both fighters; check out the top headlines from the weekend below. “Make it happen!” These three words came from Crawford to promoter Bob Arum when discussing a possible Pacquiao-Crawford match up. 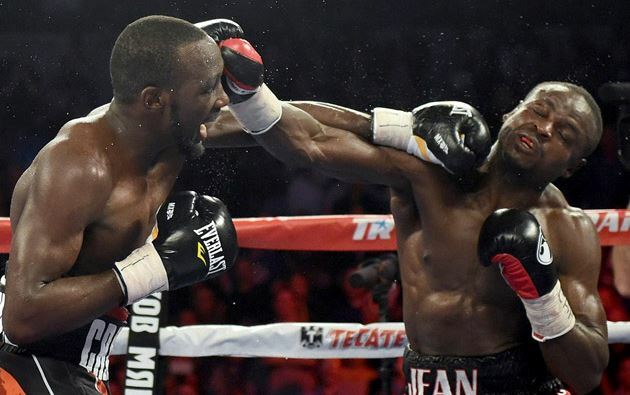 Crawford held up his end of the bargain by scoring a 10th round knockout over Dierry Jean in a dominate performance. This dominating win will give Top Rank promoter Bob Arum, and Pacquiao, a lot to think about moving forward, as boxing fans everywhere sit back and wait for this potential fight to happen. To check out more details from ESPN, click on the link below. Say goodbye to free, premium-cable Terence “Bud” Crawford fights. After Saturday’s performance, Crawford will be strictly a pay-per-view fighter going forward. The hometown favorite Crawford defended his WBO World junior welterweight title by defeating a talented Dierry Jean in a 10th round knockout. This fight was an “audition” for Pacquiao, and he definitely gave Top Rank everything they were looking for. For more information, click on the link below. In this Ring TV recap, the fight was described as one thing; an audition. Not only did Crawford pass with flying colors, he defended his WBO World light welterweight title, and eyes a potential Pacquiao fight. Dierry Jean, who called out Crawford multiple times leading up to the fight, was no match for the talented Crawford. The 33-year-old Jean and former title challenger from Haiti was simply outclassed. To read a full overview and recap of the fight, click on the link below.